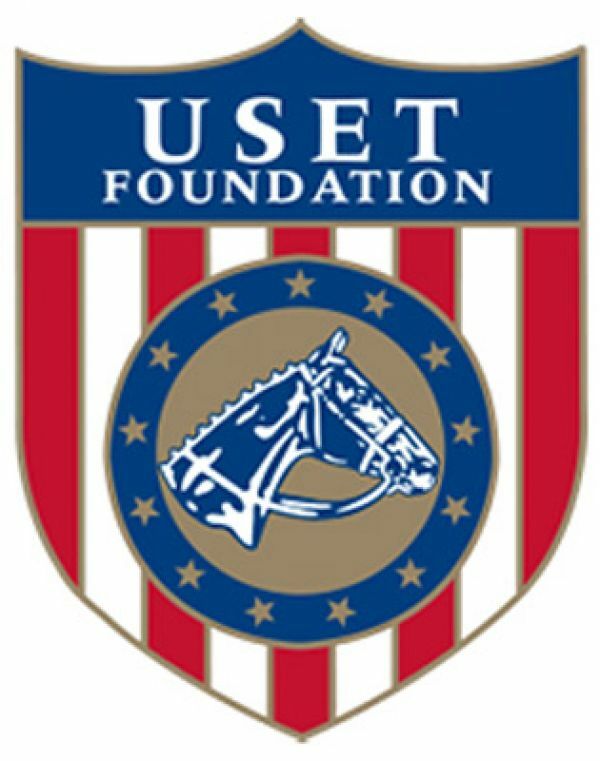 Antioch, IL - June 20, 2015 - Today was the final day of the United States Equestrian Team Foundation's George H. Morris "Gladstone Program" Training Session at the beautiful Annali-Brookwood Farm, organized by Diane Carney. The six-day training session gained rave reviews from riders and Morris himself, for organization, the choice of the various professionals who made presentations, and the support of the sponsors who made the session possible for the future team riders. The facility, Rush and Caroline Weeden's home base, was a perfect location, offering large indoor and outdoor arenas with manicured footing, two grass jumping fields, large airy stalls, turnout paddocks and a perfect lounge area for the presentations. Morris was already on a horse by 7:45 am, Michael Tokaruk's Zig Zag PCH was the first to put footprints in the manicured outdoor arena. Morris calmly put the 8-year-old mare to work, allowing her to become familiar with her new surroundings. There was plenty to take in, including the 10-foot water with Shamu across the diagonal, another liverpool at the USET jump, the Gladstone-Brookwood planks, a red brick viaduct wall by the gate with no wing standards and a wide oxer-vertical-oxer combination along the side of the ring. The first group of riders followed Morris during the flat work, focusing on the suppleness of the horse through shoulder in and haunches out exercises. After a short flat work session, junior riders Morgan Dickerson and Hunter Holloway and professional riders Kelly Smith and Michael Tokaruk were ready to attempt the challenging track. The second group of riders with professionals Brandie Holloway, Sarah Vogus and Liz Atkins and amateur riders Caroline McLeese and Ariel Black, could not wait for their turn to try the Brookwood Grand Prix. The group warmed up over sections of the course at a time, working their way to the USET liverpool and on to the 10-foot water. The great group of horses and riders had no issues at the water. "We need to jump more water," said Morris. "It should be a part of every jumper's program and should be included in every horse show. They don't have issues with water in Europe because it's part of their every day routine." Each rider took their turn at the track which began with an oxer at the far end of the ring followed by a turn across the middle of the ring right behind the 10-foot water to a skinny black plank, then completing the "S" turn left to the USET liverpool in six strides, then six strides to the red wall by the gate. From there it was across the diagonal to the 10-foot water with Shamu to four short strides to a red gate with no ground line. Finally, riders went around the end of the ring back to the first oxer and seven strides to the triple, finishing with an inside turn and a gallop to the Gladstone-Brookwood planks. Morris discussed five qualities of a team rider, which are; ambition, emotion, management, selection and lastly, talent. Ambition is the desire inside the person to go somewhere. Emotion is the maturity and ability to control emotion. Morris used Olympian Beezie Madden as an example for emotion saying she has ice water in her veins, which is why Morris had her as the anchor on the team. Management is the ability to manage the care of the horse and the program of the horse and rider. Selection is the ability to choose good horses. Talent is the skill and ability of a rider, which is the fifth factor. Riders must have the other factors to make it work. "Rate yourself on a scale of 0-100 in each category," said Morris. "Beezie is almost a 500." Morris started the second session by riding Ariel Black's mount, Bizette B, with the other riders in the group following him like the pied piper, imitating his classical dressage. The weeklong session had horses ready for the challenge, as this group also executed the track, including the water, without any issues. Morris closed by reminding riders to "pay their dues" by working hard and learning from others. "Get educated, read books," said Morris. "Watch Beezie and McLain Ward and Laura Kraut. Learn from great riders like Jennifer Alfano. Learn what they know in the barn and on a horse." "Classic dressage makes the horse accept our aids and makes better horses, which makes better jumps," added Morris. "First is always impulsion, second is straightness of the horse." Riders then spend time summarizing their week and sharing their future plans at the farewell luncheon. "Real riding takes real effort," said training session organizer, Diane Carney. "George's endless support of correct riding as it relates to quality performance, is the goal of every horse person in the saddle. Organizing the training session for Gladstone and George was a privilege. It was my responsibility to coordinate a week with top industry professionals on every level from barn management and world-class veterinarians and farriers, to Olympic riders and equine business experts, in pursuit of a standard of excellence. Horsemanship 24/7 makes the 'Gladstone Program' different than a normal clinic. This week was team building and I will add, inspiring. It was my pleasure to support the GHM Gladstone Program along with the help of the many sponsors. I had the right facility and the right support people to do my part in bringing the GHM Gladstone Program to the Midwest for a second year." Thank you to the presenters, Dr. Deb Bennett, Dr. Marvin Beeman, Anne Kursinski, Brenda Mueller for Chicago Equestrian/Phelps Media Group, DiAnn Langer and Billy Liggett. Also thanks to Harriett Bunker, Dr. Mark Cassells and the Brookwood Farm staff for their hours of assistance in making it all happen. Finally, a special thanks to Rush and Caroline Weeden for the use of their beautiful facility.